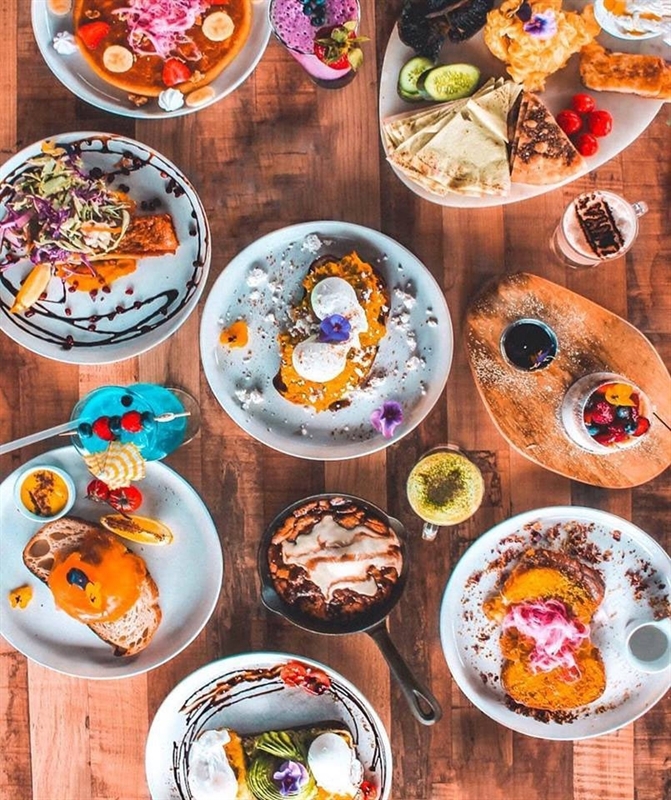 Zanya’s Breakfast Board: grilled sujuk, labneh, olives, cucumber, tomatoes, grilled halloumi, grilled mushrooms, eggs your way, pita and za’atar bread. 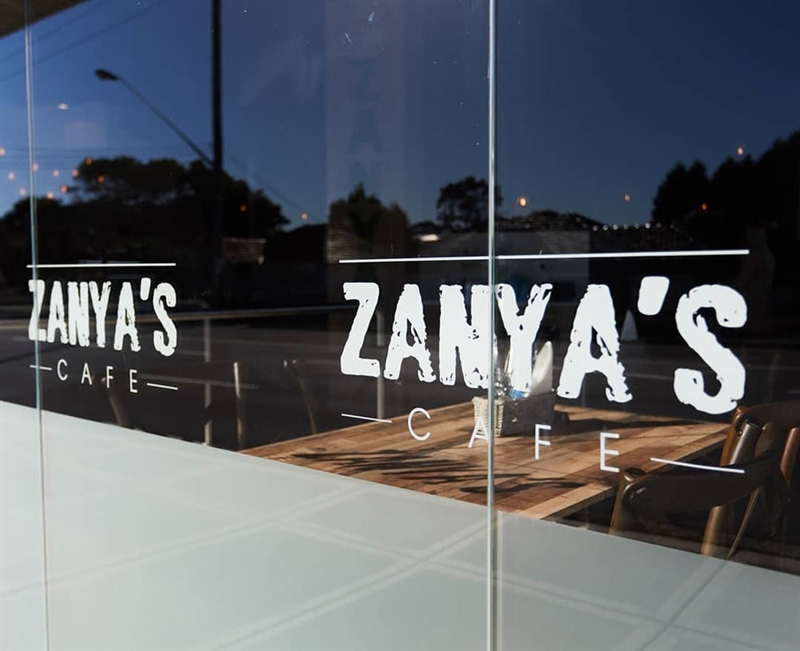 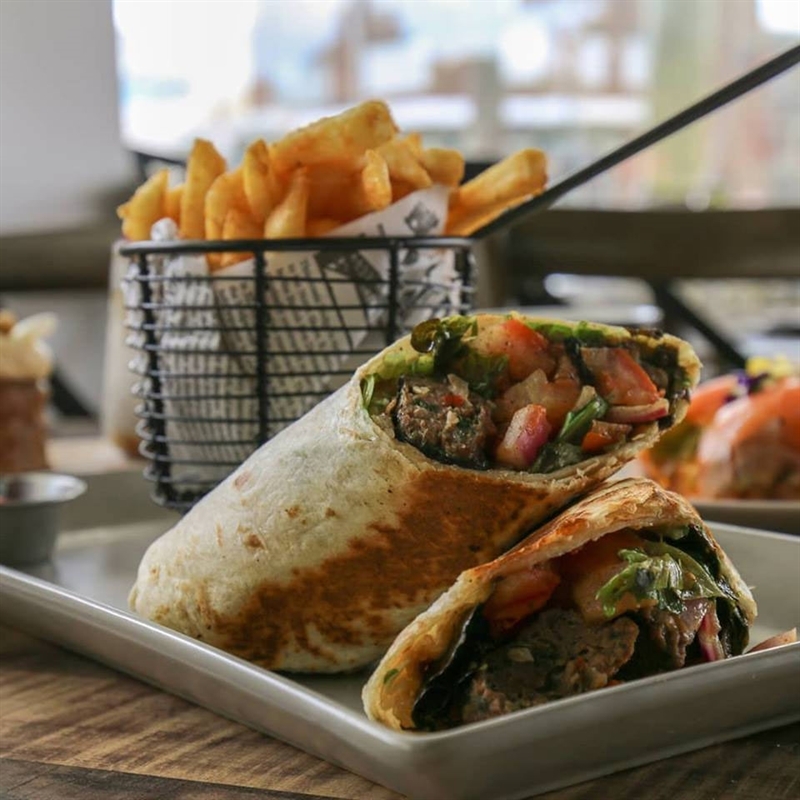 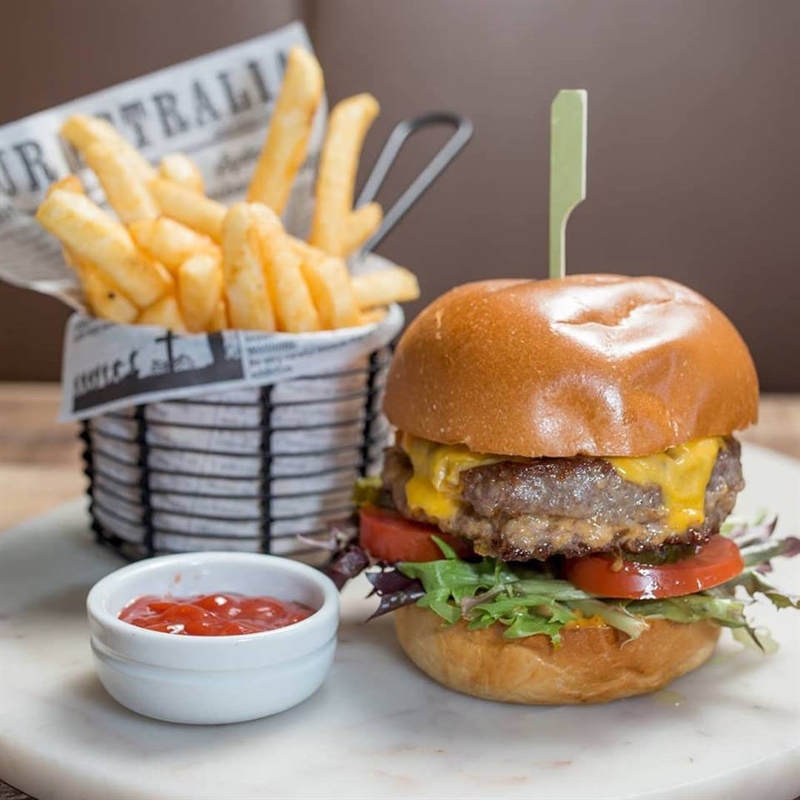 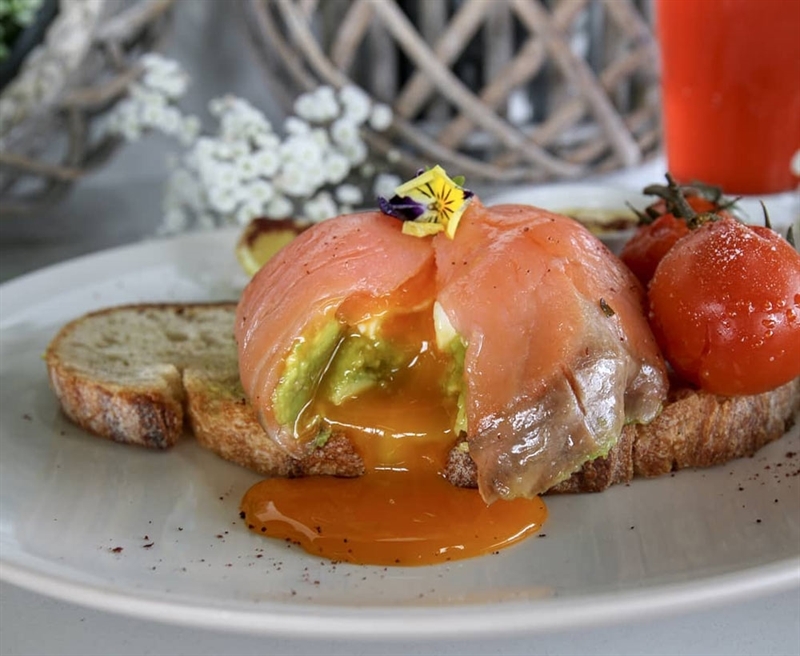 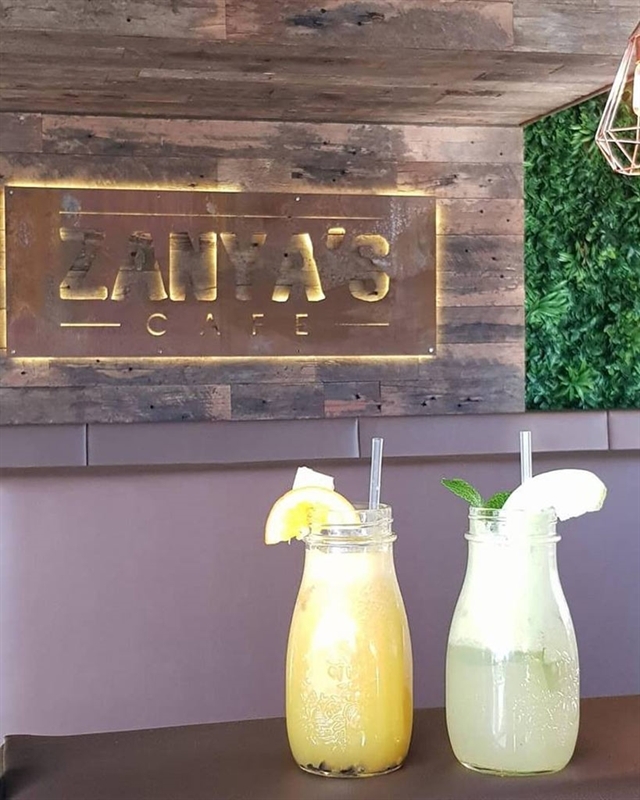 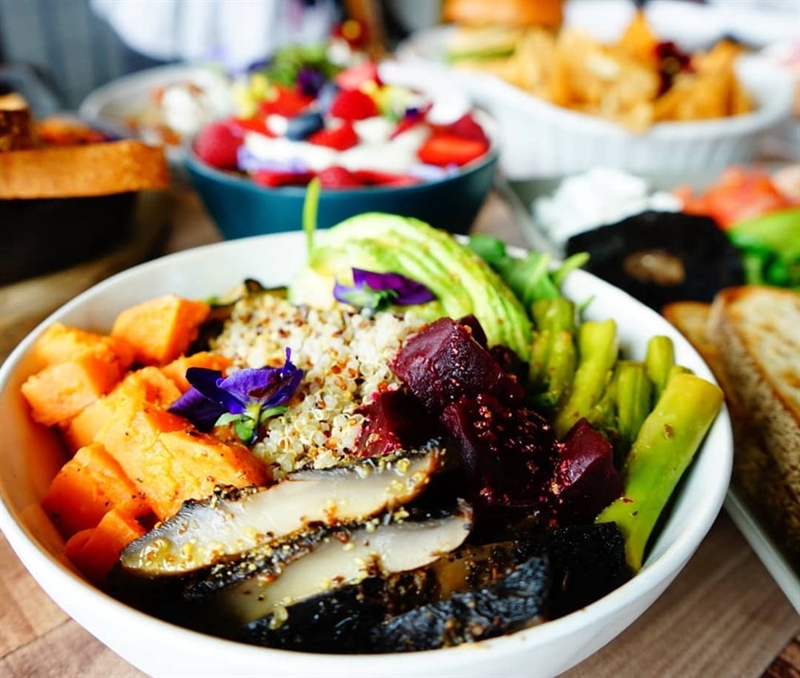 As the smell of gentle spices waft through the air, prepare to embark on a Middle Eastern culinary journey at Zanya’s Café on Stoney Creek Road in Kingsgrove. 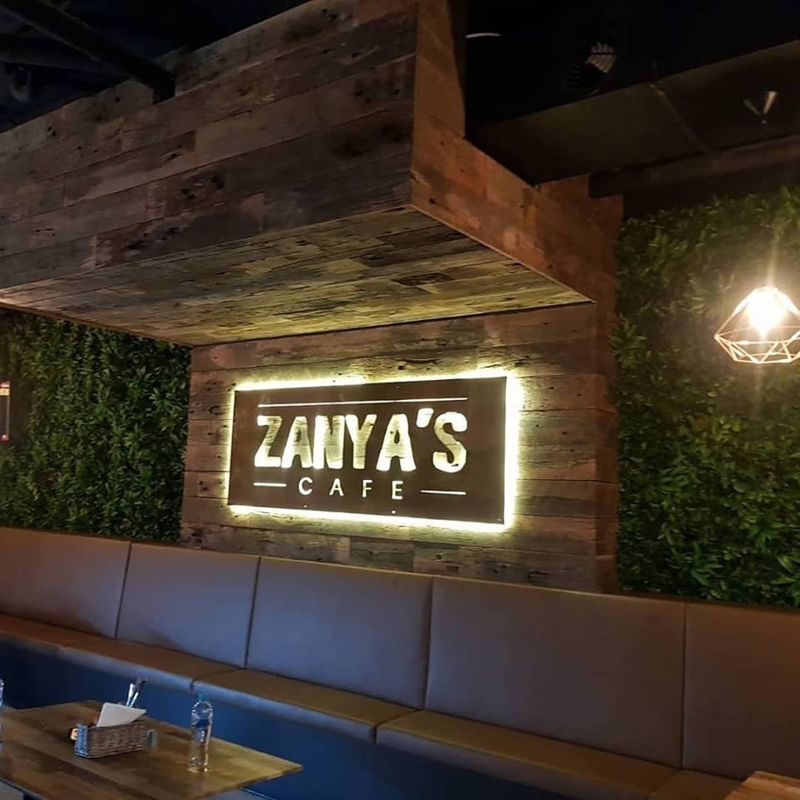 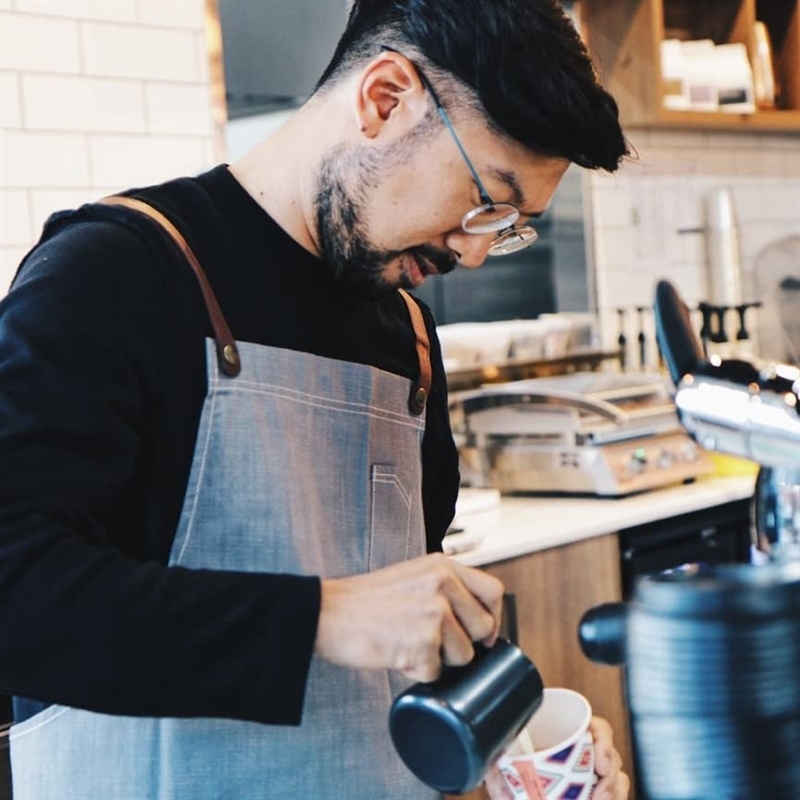 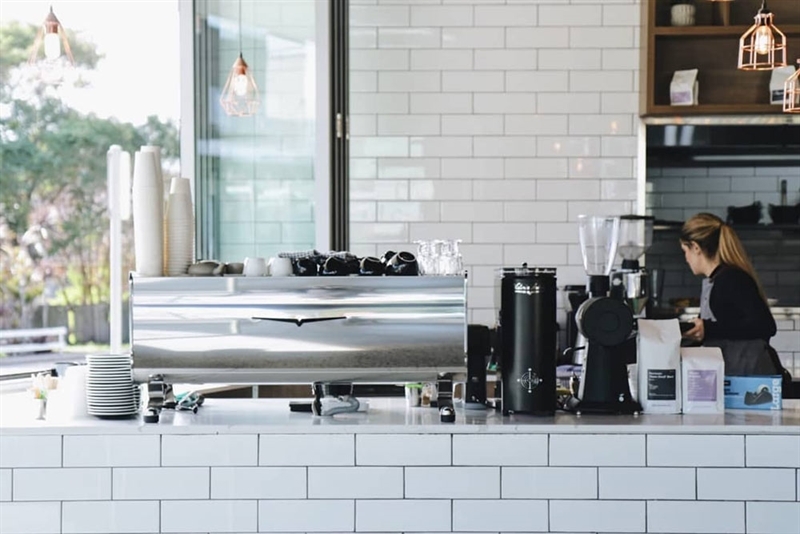 A new addition to the local dining scene, Zanya’s is decked out in blond wood, white subway tiles and rose gold geometric pendents to create a relaxing vibe, while greenery spelling the café name adds an oasis feel. 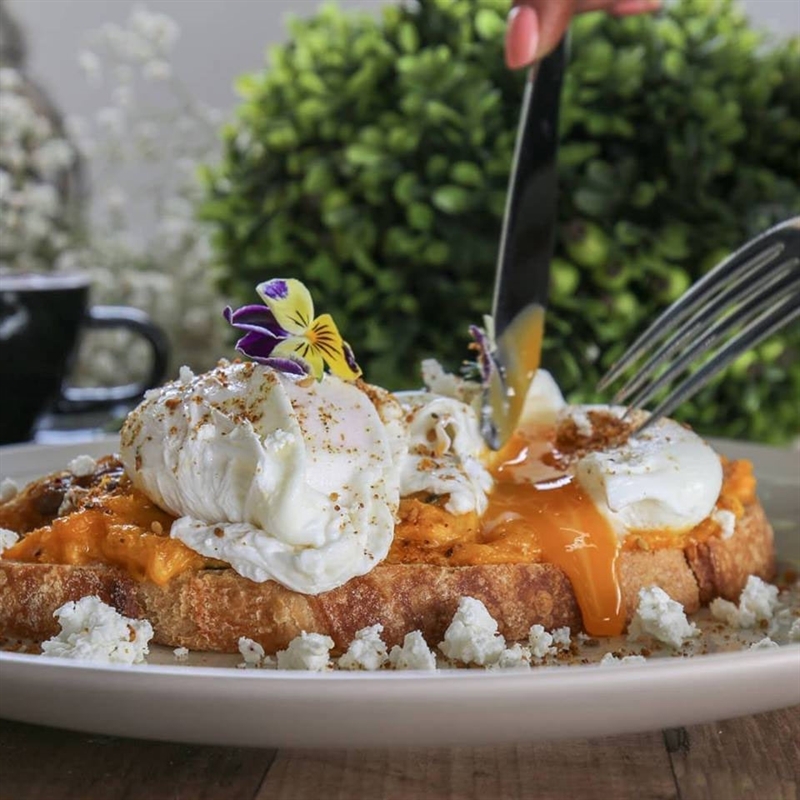 Grab a latte and delve into the shakshuka with chickpeas, onion, eggs and feta, cooked in a hot skillet with tomato sauce and served with crusty bread for breakfast. 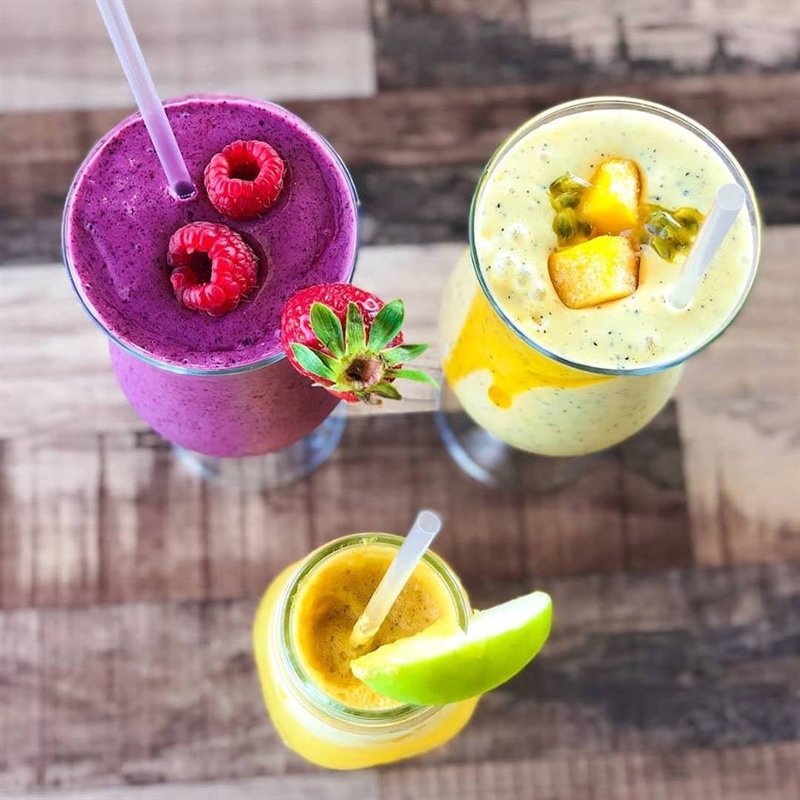 Lunchgoers may opt for a mocktail such as Blue Sky – pineapple, coconut, Blue Curacao and soda, before a main of grilled salmon atop a bed of smashed pumpkin, with a kale and apple salad; leaving room for something sweet like a Nutella filled pancake.